The DART Commissioners will consider a pair of meaty issues at their meeting on Tuesday. DART staff is taking the first step toward shortening the route of the D-Line Downtown Shuttle, in anticipation of losing state funding for it, by recommending that the Commission vote to set a public hearing on the matter. DART is required by federal law to hold a public hearing prior to eliminating service. If approved by the Commission, the hearing would be held at 11:30 a.m. on Tuesday, March 8, at the Central Public Library. Then, if the state withdraws its portion of funding for the D-Line, the route would be truncated on the eastern end as early as 30 days after the public hearing. The altered route would extend between the Western Gateway and the East Village but no longer up the hill to the Capitol. The other two partners in the public-private partnership that pay to operate the D-Line — DART and the Greater Des Moines Partnership’s Operation Downtown, which represents downtown businesses — have committed to continue their support of the D-line. DART would maintain its current level of service in the coming year under the proposed budget. Staff is recommending neither service cuts (except to the D-Line, possibly) nor increases in taxes or fares. The Commission will vote on the budget at Tuesday’s meeting. Expenses are increasing faster than revenues, including a projected 25 percent increase in fuel prices. DART faces a budget gap in future budget years. DART is proposing to use $1.35 million in reserves to balance this year’s budget. 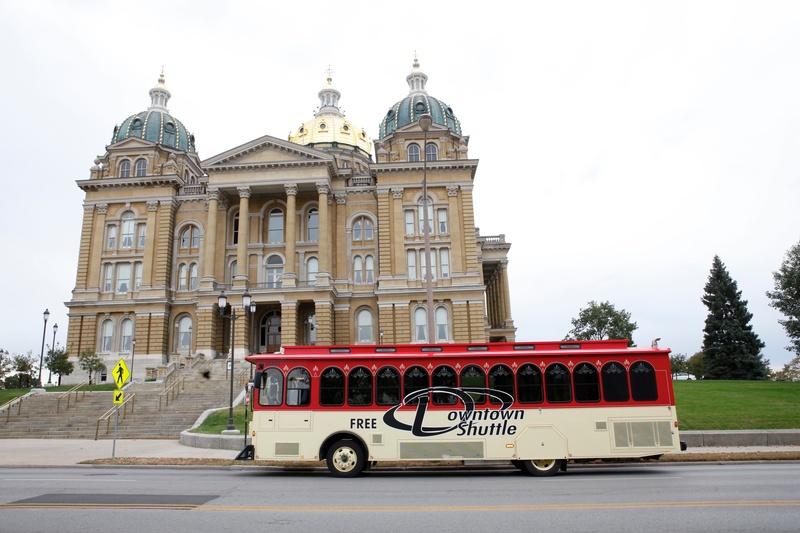 For more background on staff’s approach to this year’s budget, click here to read the Des Moines Business Records interview with DART General Manager Brad Miller. This entry was posted in commission, D-Line downtown shuttle, DART news by DART. Bookmark the permalink.